Andrew M. Lee is the founder and artistic director of DC Strings, as well as an accomplished pianist, violinist, and arts administrator. Over the past decade, Lee has performed as pianist and violinist in some of America's greatest venues, including the White House, George Washington's Masonic Temple, and Carnegie Hall. As a violinist, he has performed with the Colour of Music Festival in Charleston, SC, and in Ray Chew's "Night of Inspiration" at Carnegie Hall, where he collaborated with world-class musicians and soloists including Donnie McClurkin, Yolanda Adams, Dionne Warwick, and Shirley Caesar. Additionally, he has performed on tour with Conductor Keith Lockhart and the Boston Pops Orchestra. After several years performing in DC area orchestras, Lee began DC Strings Workshop in December 2016. The mission of DC Strings is simple: to bring music to all parts of DC and highlight the beautiful diversity that exists in classical music. 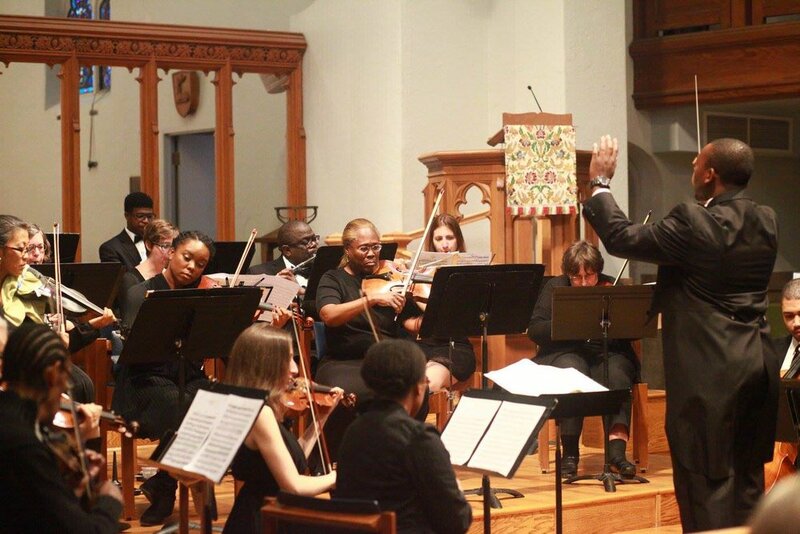 With over 30 concerts to date throughout the region, DC Strings brings music to underserved areas of the region through a mix of performance, education, and dynamic masterclasses and workshops. Andrew is also in demand as an arts administrator. In the 2017-18 season he served as Orchestra Liaison to the Sphinx Symphony Orchestra, and continued to work with several other national orchestras and ensembles as a consultant. Returning to the Colour of Music Festival in the upcoming 2018-19 season, Andrew will serve as Personnel Manager and looks forward to the Festival’s September debut in Richmond, VA, and Houston, TX. Andrew was a double major in music and political science at Furman University, and has completed studies in conducting under the tutelage of Nevilla Ottley-Adjahoe, piano with Dr. Ruby Morgan, and violin studies with David Strom and Phyllis Fleming.